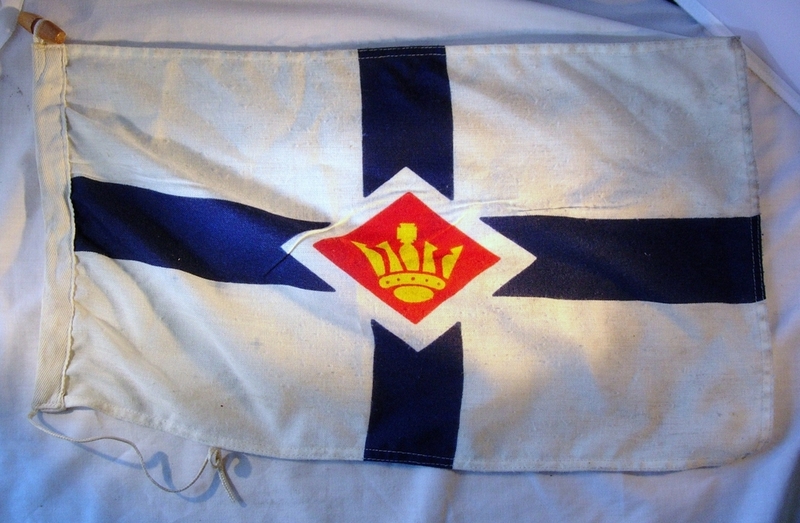 Description: White flag, blue cross and a yellow crown to centre. 20.5 inches x 12 inches. 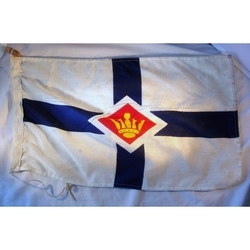 Found with racing pennants and yacht race sponsors flags for Lambert & Butler and Hyder Consulting so this is probably a corporate flag. Which company does this flag represent? Amanda thinks this may be Orient Steam Navigation Co. We agree that it is similar, so it may be correct, but cannot find the exact match.